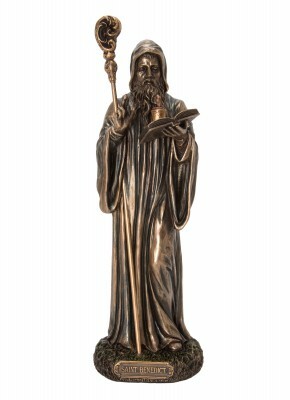 Measurements: 1 lb, 6 ounces weight, 8 inches height, 4¼ inches width, 3¼ inches depth. 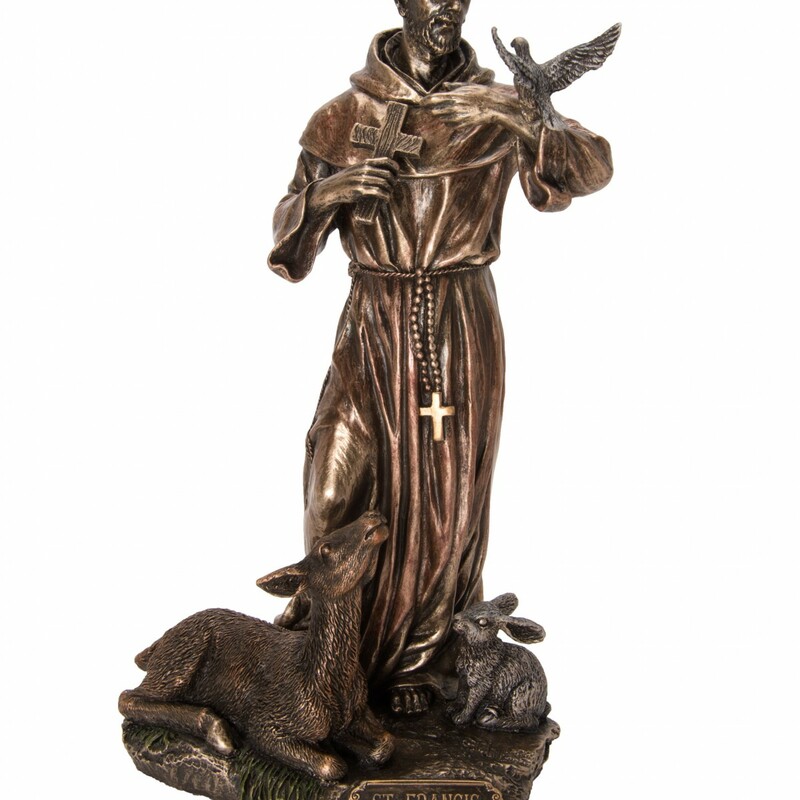 Comes in a tasteful gift box. 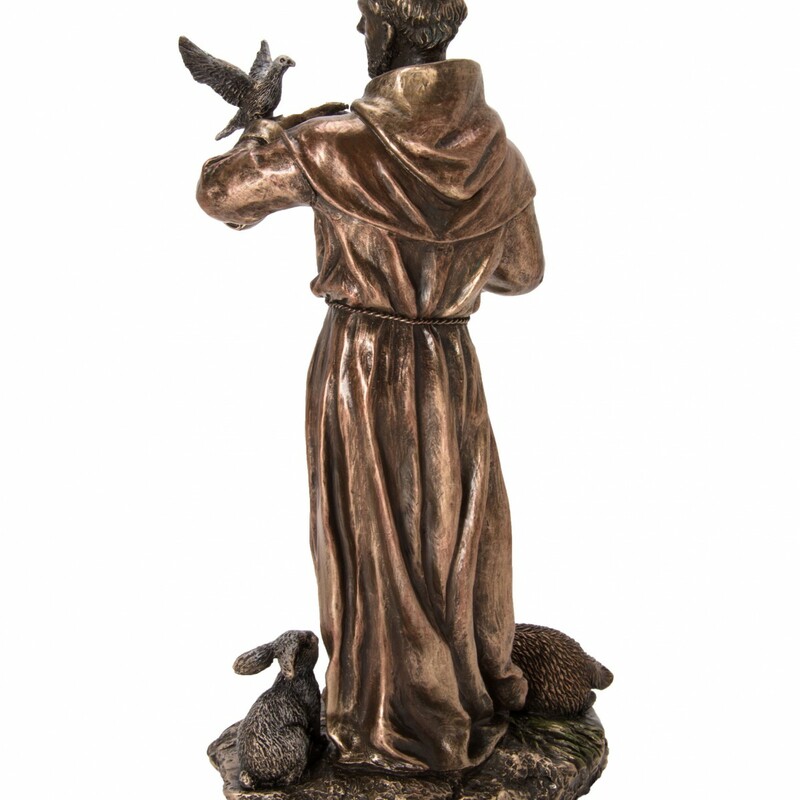 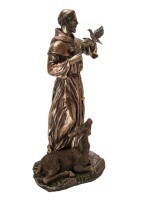 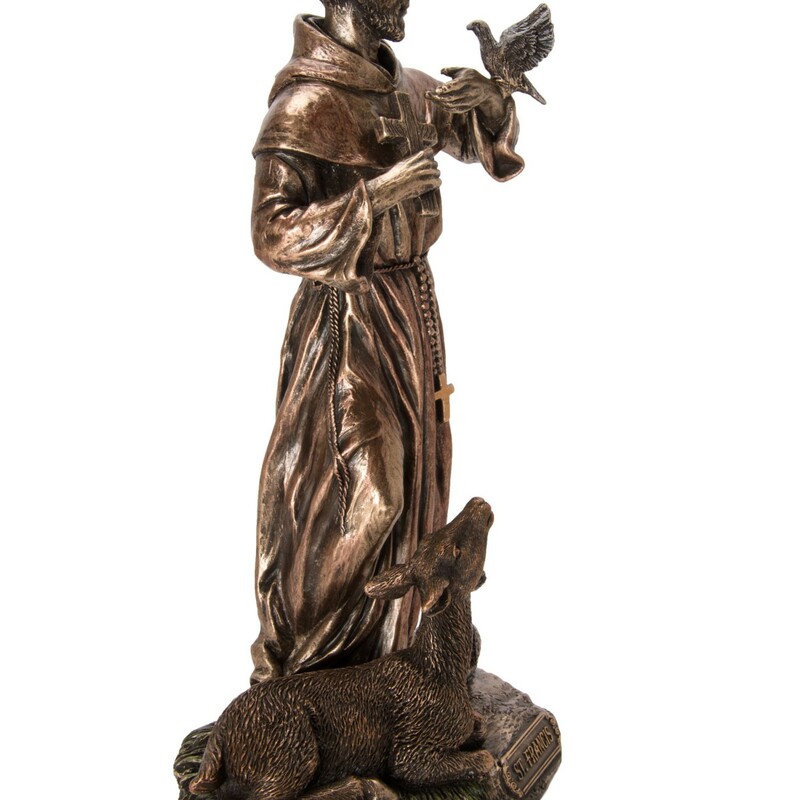 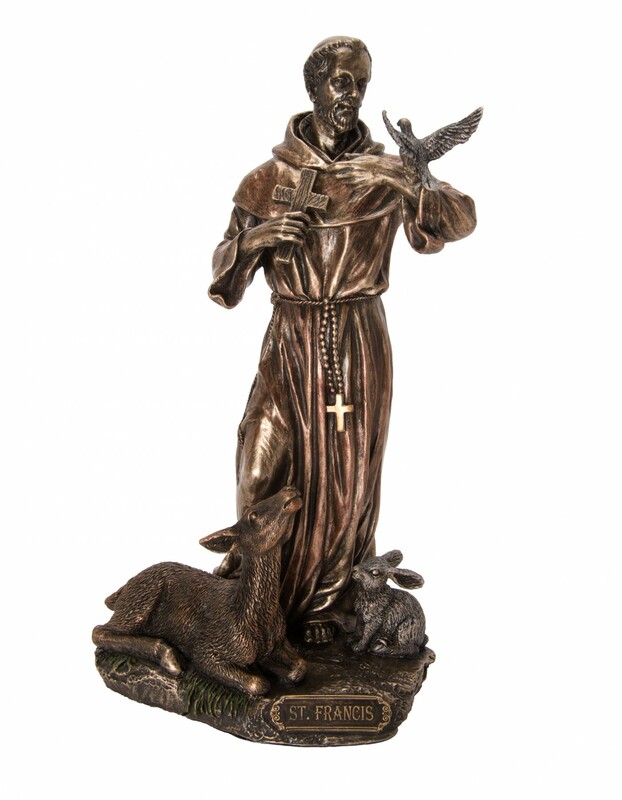 This statue has remarkable detail of St. Francis holding a cross and wearing his traditional Franciscan robes with a rosary for his belt while a deer and rabbit rest at his feet and a hawk is perched on his arm. 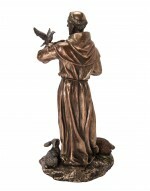 While it is made of hard, solid resin, the appearance is that of a metal bronze statue that has an arresting and engaging presence. 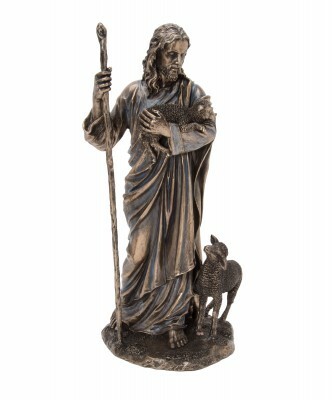 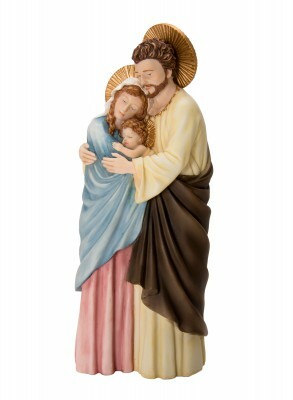 The color of his robes and the hair of the animals add great realism to the statue. 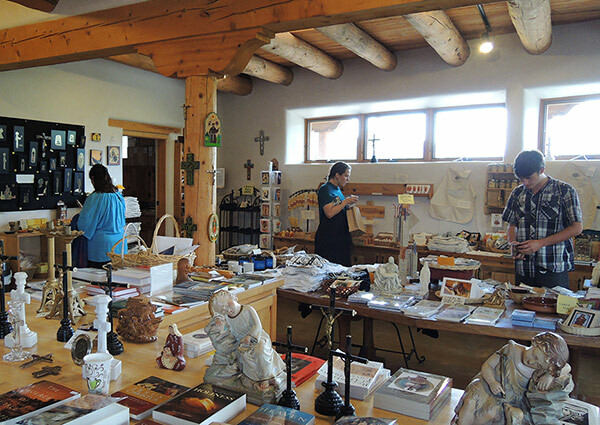 It would be an inspirational gift to give, especially to young people or anyone involved in ecological work or interests.